Code to text ratio checks the text to code ratio by observing the web page URL. Just by analyzing the content and code ratio, the tool will calculate the percentage and gives us the result. 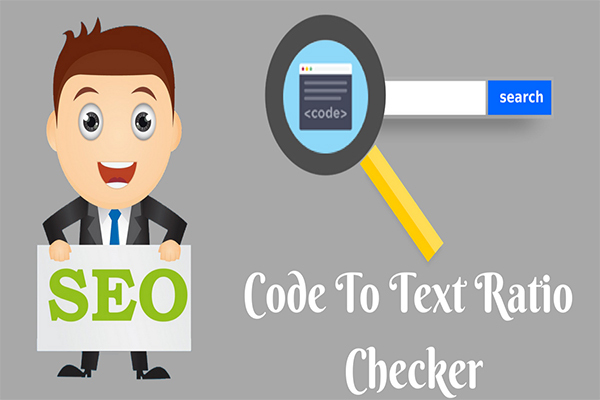 The code to text ratio plays a major role in search engine rankings to look the relevance of the page. The more the relevancy and authority of the page, the search engines give preference to the sites in order to increase web traffic. The website owner is responsible for writing a valuable context or information regarding the keyword. How Does this code to text ratio tool work? Enter the specific website or web page URL in the required textbox. Next, enter the required captcha as shown. Click on the submit button to exactly know the percentage of code to text ratio of your web page provided. It helps to analyze the code to text ratio for the SEO marketers to improve the site design, content and increase organic rankings. It is used by spiders to provide search engines for better results in identifying the right keyword relevance used in website or not. Plays a major role in ranking the website over code design and quality of the content. ​According to SEO, unnecessary use of code on the web page increase size of the page and results in low ranking over a period of time. So, try to maintain your site design and content less than 60kb to load faster and match the keyword relevance over the site exactly.